Even though Superman Returns is far from perfect it’s the best sequel in the troubled Superman series. Superman: The Movie, 28 years later, still ranks as a wonderful piece of cinematic bliss. It’s the quintessential comic book movie unrivaled in giddy heroism until Tobey Maguire donned those Spidey tights a few years back. One year after Star Wars first appeared, with audiences marveling at that movie’s opening scrawl, Superman topped it with what still rates as one of the most enjoyable and innovative opening credits sequences of all time, this one bolstered by another magnificent score by John Williams. It was a great, fun movie with an epic scope that treated its main characters with respect while keeping its tongue at least close to its cheek. Unfortunately, during the subsequent nine years, three sequels would each decline in quality and scale before pooping out with the utterly missable Superman IV: The Quest for Peace in 1987. As part of a DVD box set scheduled for release this fall, a “Richard Donner Cut” of Superman II is expected to finally make its debut; it’ll be interesting to fly it side by side with Richard Lester’s theatrical release, which has not held up well against the test of time. On the bright side, Bryan Singer’s Superman Returns basically picks up where the first installment left off. There are allusions to Superman II, but there’ll be more about that later. For the most part, the storytelling works best if this is taken as a direct sequel to Superman. As a companion piece to the original movie, wherein the opening credits took viewers on a trip from Earth to Krypton, this time the credits roll while Singer makes the return trip from Krypton back to Earth. Singer takes full advantage of modern CGI effects to spruce up the visuals, accompanied by John Williams’ rousing march, which in turn has been amped up by John Ottman. At the movie’s start, a title card brings audiences up to date. Astronomers reported finding what they thought were the remnants of Krypton somewhere way out there, so Kal-El (a.k.a. Superman, a.k.a. Clark Kent) left his job at The Daily Planet, somehow built himself a space capsule, and went out there to check on things firsthand. Picking up five years after his departure (since this is a movie review and not a scientific dissertation, the plausibility of the space travel premise and the time differential will be ignored), Superman (Brandon Routh, most notable for prior work on TV’s Will & Grace and Gilmore Girls) returns to Earth and Perry White (Frank Langella, Good Night, and Good Luck) – seemingly reluctantly – gives ol’ Clark his job back. The nifty thing is that Singer reboots the Superman story with an entirely different cast (well, aside from Marlon Brando) while keeping its roots in the mythos and style found in the 1978 flick. It’s a smart move because there’s no need to retell the origins story that Richard Donner told so well. On the other hand, Singer tries to have it both ways. He’s recreated the icy look of Krypton and the Fortress of Solitude, and even brought back Brando, via archival footage, as Jor-El, Kal-El’s father. Also, much like Miss Teschmacher in the original, Singer introduces Kitty Kowalski (Parker Posey, Josie and the Pussycats) as Lex Luthor’s latest ditsy floozy with a good heart. With all those elements in place, it would be natural to expect a similar tone and demeanor to the 1978 romp. But that’s where Singer changes course, and not always successfully. The tone here is mostly dark and at times too darn serious. The darker tone in large part comes from Kevin Spacey’s far creepier take on Lex Luthor. Spacey returns to work for Singer, having won an Oscar for his role in Singer’s The Usual Suspects, and together they’ve concocted a more ruthless, psychotic character than Gene Hackman’s wittier, more flamboyant version. Sure, this Luthor’s well-read and loves opera and classical music, but he’s also a mean-spirited individual with barely a sense of humor who’s traded in his “Park Avenue address” for a fully loaded luxury yacht. After all, this Luthor made his millions by marrying a sickly elderly woman and soaking her estate for all it was worth. Along the same lines, the story’s chronology is questionable; Singer seems to be cheating by cherry picking the story threads he wants to follow. Without spoiling anything, if this was a sequel to Superman II, then it would make no sense for Luthor to have to seemingly rediscover the Fortress of Solitude (even as Kitty comments on how he acts like he’s been there before). On the other hand, there is a plot twist involving Lois Lane that most certainly plays off events in the first sequel. More troubling, though, is that the movie drags on more than one occasion. Its slow start seemed to be intentional, in the name of setting up the storyline, but the film continues to suffer from pacing problems even during scenes of high adventure. Superman has always been a figure of hope, a character whose first appearance dates back to the Great Depression. Heck, the 1970s were no walk in the park when Supes made his grand splash on the big screen; the movie’s release was wedged between an oil crisis and U.S. hostages in Iran. That original movie (and even Superman II, for that matter), was an American flag-waving salute to the irrepressible human spirit. Unfortunately, that spirit is lacking here. And that’s precisely what could have sent this new incarnation into the stratosphere, pulling the American psyche out of the post-9/11 muck in the process. In a beautiful piece of irony, Superman Returns picks up with Lois (Kate Bosworth, Win a Date With Tad Hamilton!) having won the Pulitzer for an article entitled Why the World Doesn’t Need Superman. While Superman learns to fear the wrath of a woman scorned, Lois, eventually, comes to understand the world most certainly does need the Man of Steel. But it’s kind of a bummer realization, not a John Williams-induced epiphany. While not all is well in Metropolis, there are still ample reasons to give Superman Returns a healthy recommendation. What it does right it also does right really well. Routh has big boots to fill and he does so nicely, in a fashion very similar to the quietly dedicated approach Christopher Reeve took to the role. 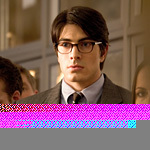 In fact, it’s eerie how much Routh sounds like Reeve. As Lois Lane, Bosworth is super-cute and convincingly plays an “older woman” who feels jilted by her former super friend. Together, this new coupling of Lois and Superman take the relationship aspect more seriously than has been done in the past; she’s moved on in his absence and she does not greet him with open arms upon his return. Their relationship provides the bulk of the film’s drama; another round of battles with Lex seems to be provided simply because Singer knows that’s what audiences expect. A really gutsy movie would’ve focused strictly on the romance between the superhero and the journalist. Also, the visual effects are almost uniformly gorgeous; Superman’s flight effects have never been more seamless and Singer does a remarkable job of presenting more of the Superman experience as Supes hovers far above Earth, tuning in to all the myriad distress signals as he picks his next rescue mission. Singer also maintains a high level of iconic imagery. There’s heavy emphasis on that large red “S” on the (much darker hued) red, blue, and yellow suit when Superman is wheeled into a hospital after a particularly nasty fall. How Many F’s in Catastrophe? Providing nostalgia fans with an opportunity to geek out, Superman Returns frequently quotes from the first movie. There’s Superman’s reassurance that flying is still the safest mode of travel and his admonishment that smoking is bad for you. Even Lex quotes Lex on the value of land and the advice his father gave him. Other bits of good humor include Lois Lane’s continuing challenges with spelling and Jimmy Olsen’s hack photography. A photographer’s in deep doo-doo when a 12-year-old with a cell phone camera manages to take “iconic” black-and-white photos of Superman in action while a supposed pro (or cub pro) with a professional grade digital camera manages only fuzzy shots of Supes flying away. So, amidst the film’s overly dour tone, Singer still finds room for humor. But there’s plenty of room for just about everything when a film’s run time stretches out past 150 minutes and in that sense Superman Returns shares some of the same bloated, director-gone-wild over indulgence Peter Jackson committed with his remake of King Kong. Over all, Superman Returns is a solid piece of entertainment that successfully restarts the Superman series. But it’s not an out-of-the-park grand slam like last year’s Batman Begins. In the grand scheme of things, though, perhaps it’s enough for one movie to simply bring back the Man of Steel and make him a compelling, emotionally complex character. Maybe the next installment will be more fun.